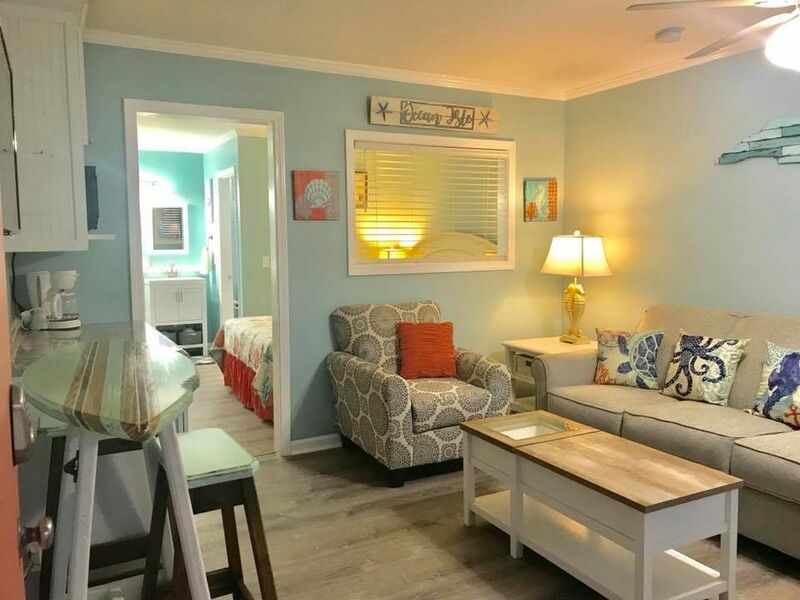 1 Bedroom condotel centrally located on beautiful Ocean Isle Beach, one block from ocean and walking distance to local restaurants and activities. Beautifully renovated third floor condo, Bedding: Queen, Double sleeper. Condo has in-room microwave, small refrigerator, and TV. On site outdoor swimming pool for your enjoyment! View of Sound. NON SMOKING All condos may be rented on a nightly basis. Linens included. Free Wireless Internet! !.